Cursillo weekends are held at the Wesley Center in Woodworth, Louisiana, near Alexandria, in the heart of Louisiana. As a retreat and conference center, the Wesley Center offers a unique atmosphere conducive to events of all kinds, both day meetings and overnight retreats. The chapel overlooking the lake is a beautiful place for worship and meditation. Cursillo participants and staff enjoy their stay in the hotel style rooms of the East Lodge, each room furnished with two double beds or one double & two twins. Additionally, a hospitality kitchenette is located adjacent to the lodge lobby and is furnished with a microwave, refrigerator and coffee. Meals are shared, buffet style, in the dining room in the main building. For lunch and dinner, guests are offered a full salad bar, substantial entrée, two vegetables, one starch, and a dessert. Breakfast menus include a variety of items like fresh fruit, yogurt, bacon, sausage, biscuits, eggs, pancakes, grits, and cereal. You will eat well during your Cursillo retreat! 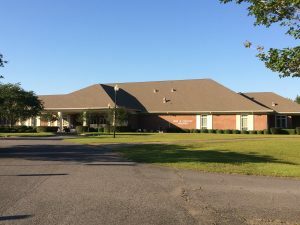 The majority of your meetings will be in the De Colores Center, whose funding was the result of donations by the Louisiana United Methodist Cursillo Community, as well as funding from the Louisiana Annual Conference, and The Wesley Center itself. 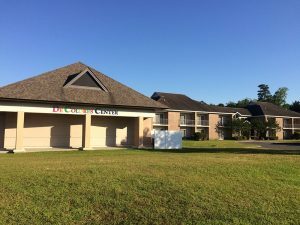 During free time, guests may enjoy a variety of amenities that include paved and straw walking trails, 32-acre lake, pavilion, outdoor prayer labyrinth, and fitness center. 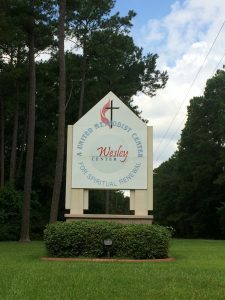 Click here for driving directions to the Wesley Center.